The Top Dental Trends: Harmful or Helpful? In recent dental news, there have been many types of new practices and trends when it comes to taking care of your teeth and gums. But do these popular practices really benefit your oral health or do they actually cause more harm than good? As your dentist in Aloha, OR, our team at Slater Family Dental keeps our patients up-to-date on the latest in oral health news and technology, so you can make an informed decision whenever possible. We care about our families and friends, and want our community to have the latest information available about what works and what doesn’t regarding the best practices for your oral health. A lot of people have taken to a recent and popular trend of adding apple cider vinegar to their water and food as a way of losing weight. However, some people have been taking the habit farther by adding cider to their daily oral hygiene routine. Vinegar has been used for many years in cleaning products and food additives, but now studies are showing that people have started to use vinegar as a mouthwash as well. Unfortunately, using apple cider vinegar to rinse away stains and remove plaque can have the undesired effects of turning teeth yellow and breaking down enamel. Most dentists recommend staying away from apple cider vinegar as a dental care tool, and suggest patients stick with using an alcohol-free mouthwash instead. Infusing fruit in water has been a popular health trend for many years, leading people to put a variety of fruity flavors into their water bottles to help with everything from weight loss to improved immune system function. While replacing carbonated and sugary drinks with water is a great step in the right direction, some dentists recommend going easy on the fruits which are high in acidity. Using a fruit with a high acidity – such as lemon, lime, pineapple, etc. – can actually cause tooth enamel to break down, as the acids in the juice cause enamel to weaken. Fortunately, you can help alleviate this side effect by drinking through a straw, which helps keep the acids from coming into direct contact with your front teeth. You should also wait at least thirty minutes after drinking any type of acidic beverage before brushing. You may also want to consider chewing sugar free gum after drinking and rinsing your mouth with regular water to keep the acidity levels in your mouth more neutral. Charcoal Toothpaste: Gross or Revolutionary? 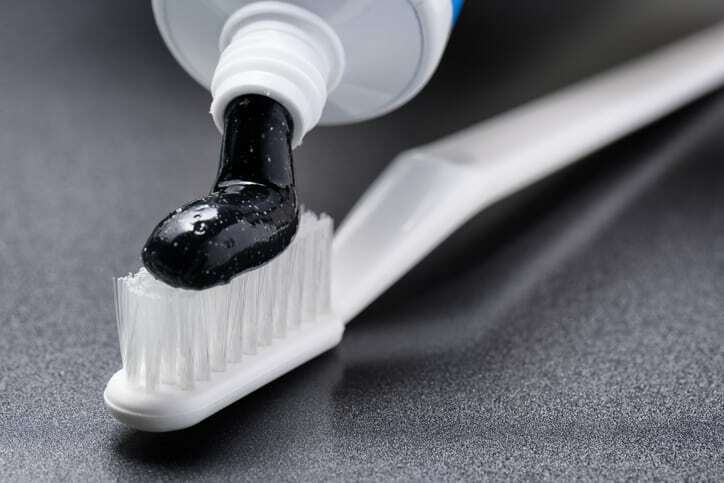 One of the strangest new trends to emerge in oral hygiene care is the use of activated charcoal toothpastes and mouthwashes as a way to whiten teeth. The truth is that charcoal may help to reduce the appearance of some staining, but the ingredients in these brands can be very harsh. Regular use of these types of toothpastes can break down enamel due to their caustic nature. These brands often don’t contain much fluoride, certainly not enough to fight tooth decay and keep cavities away. So it is probably best to stay away from charcoal toothpaste, or at the very least use them sparingly. If you’re considering using charcoal toothpastes to whiten your smile, make sure to talk with Dr. Slather before adding them to your daily oral health care routine. For decades dentists have been telling patients to use toothpaste packed with fluoride to help in the fight against tooth decay and enamel break down. However, despite this recommendation, many people have decided to choose fluoride-free toothpaste because of concerns over hormone therapy and other possible health issues. Unfortunately, the general consensus among dentists is that while fluoride-free toothpaste may freshen breath and kill bacteria, it won’t help prevent tooth decay. So it’s probably a great idea to consult Dr. Slater on this fad before making the switch. We know our stuff at Slater Family Dentistry, so come in and consult with us before making any significant changes to the oral health routine of you or your family. Dr. Slater will be happy to provide a recommendation on the safest practices for improving the health and appearance of your smile.